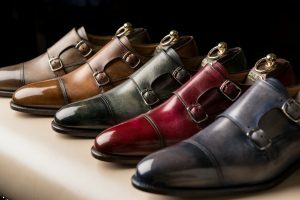 You can’t walk a runway without an amazing pair of shoes, so when Loding agreed to provide their luxury, full grain, goodyear welted shoes for the gentleman on the runway Fashion Heals was more than thrilled. The footwear has actually been hand painted, making them one of a kind! We chatted with Zofia Liffel, Operations Director of Loding and Maison Patina and got her to share what contributing to Fashion Heals means to her. Fashion is a way to express your emotions visually, it’s another key way to showcase your inner self.